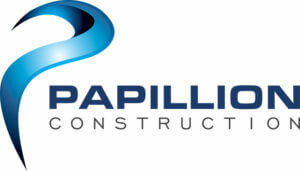 Papillion Construction is the sunroom authority in designing and delivering quality sunrooms in Pensacola, FL, and the surrounding areas. 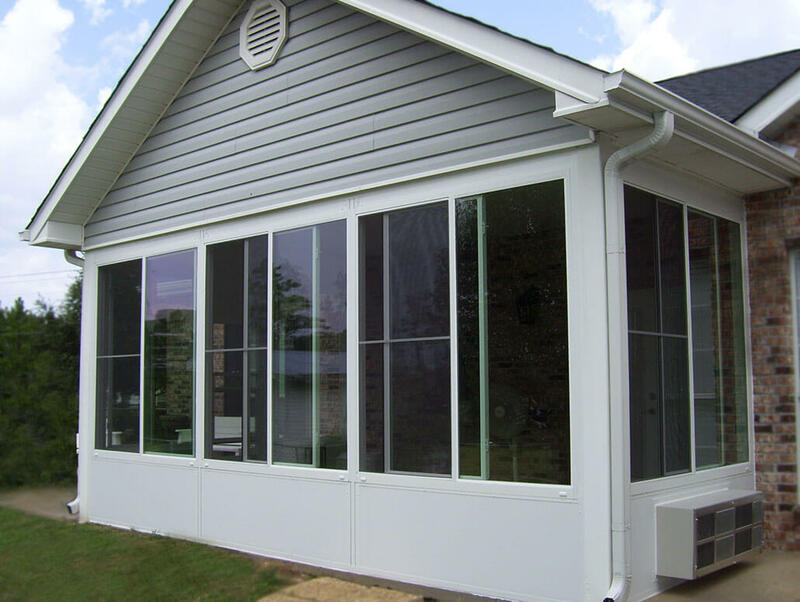 We don’t use limited, pre-fabricated sunroom kits in the construction of our sunrooms. We custom build your sunroom on site allowing us to customize your room to the exact layout of your house and the foundation that the room will be built on. Every home is unique. Every customer has different wants and needs. Custom building everything on site allows us to cater specifically to each home and homeowner. This negates the need to add unnecessary and unsightly wall fill in the construction of our sunrooms allowing us to fill the walls with more glass area to maximize the view of the outdoors. This brings that special outdoor feel into your interior space. A sunroom addition with more window space is also more aesthetically pleasing to look at and diminishes the manufactured look of pre-fabricated kit sunrooms. Sunrooms by Papillion Construction are the ultimate in style and luxury for the homeowner who wants to enjoy the outdoor feeling from the comfort of indoors. Enjoy the energy, beauty, and natural light that nature has to offer year-round in your new sunroom addition. Our insulated sunrooms will keep you comfortable 365 days a year regardless of outside weather and temperatures. Studio style sunrooms consist of a roof that slopes gently from the house to the front of the sunroom. On a studio style sunroom, the soffit of the house can be removed to allow for extra height of the sunroom walls and roof. Transom windows can then be added to provide more glass area and allow more natural light into the room. The gable style sunroom is an architecturally pleasing extension of your living area. It consists of a roof that slopes down from a center beam to the side walls. This type of room addition allows the space for more windows to be installed resulting in additional light and a broader view of your outdoor surroundings. The gable style room can also include a shingled roof. This gives the look that the room was part of the house originally. Looking to improve your backyard living experience with a sunroom? We offer a wide variety of options for your particular home and budget. 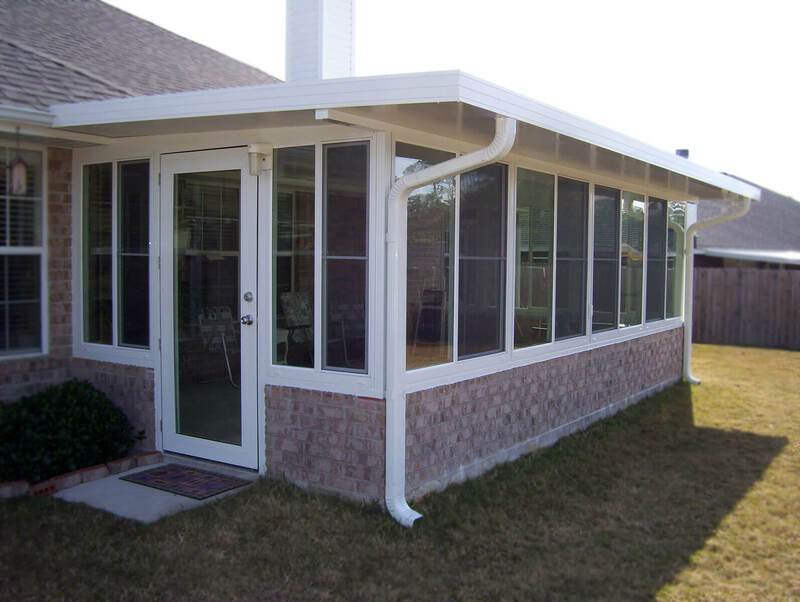 Please visit our Contact page to schedule your sunroom consultation today. You will be sure to receive the highest quality craftmanship in your sunroom addition. 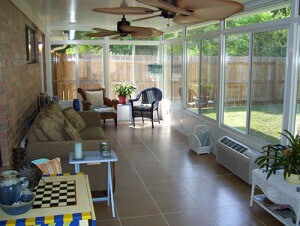 We provide services for sunrooms in Pensacola, Fl, Gulf Breeze, Navarre, Crestview, Pace, Milton, and Molino.